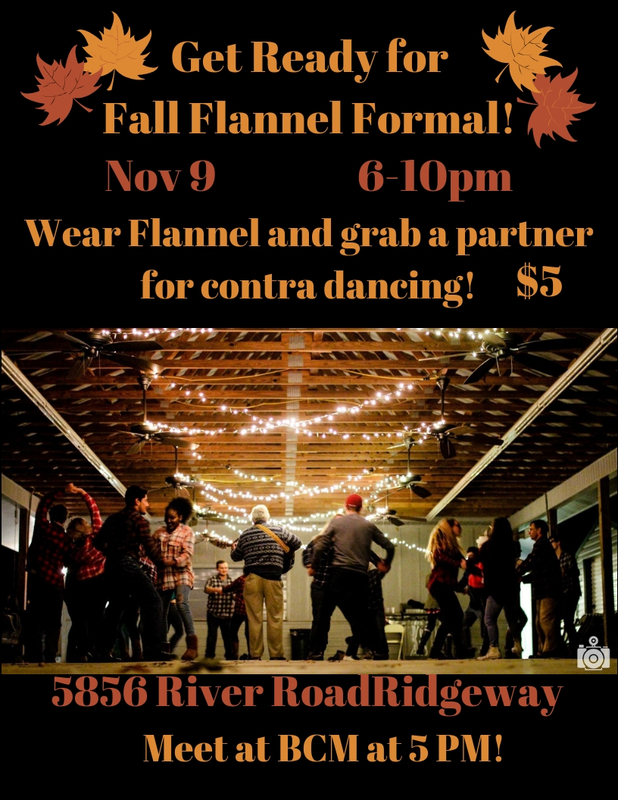 Come get all dressed up and dance the night away with old and new friends! BCM's favorite way to close down the spring semester is getting painted up and competing against one another for the prize of knowing you out ran, out chugged, and out army crawled faster than the other teams! Join us at the Strom Fields as we compete in the best relay race of the year! Ladies, let's eat some yummy food and enjoy time together! Come hang out at BCM for our Man Feast at 7 PM! BCM1 Student Leaders, come and join at BCM1. 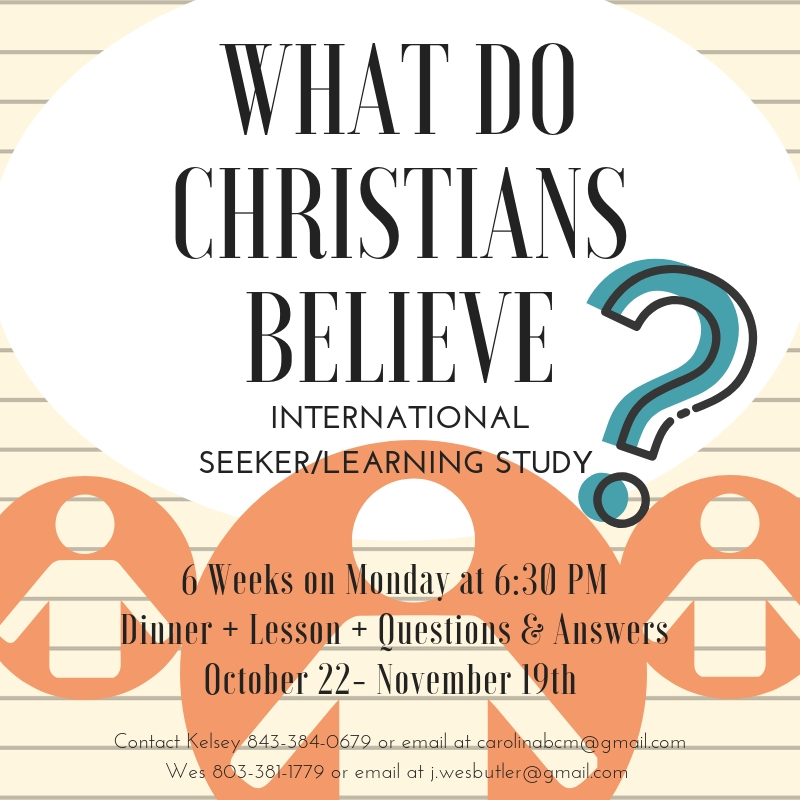 $10 per person to learn about how to serve our campus best! 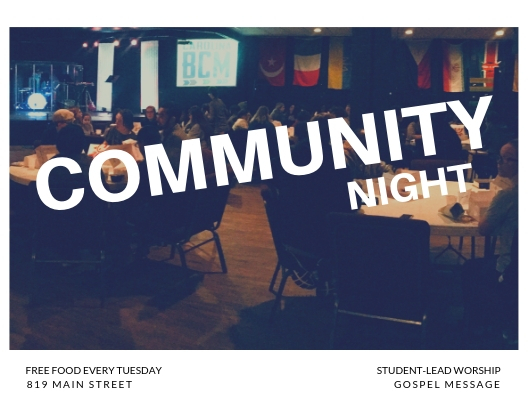 We will have worship, amazing speakers and time to connect with other BCM Student Leaders from across the state! We look forward to our time growing together. Contact carolinabcm@gmail.com for more details. Afterwards, we send out and pray over our summer student missionaries during the commissioning service. Come hang out with us as we go to Crooked Run Baptist Church in the morning for their worship service. We will eat a delicious homemade church with the congregation. 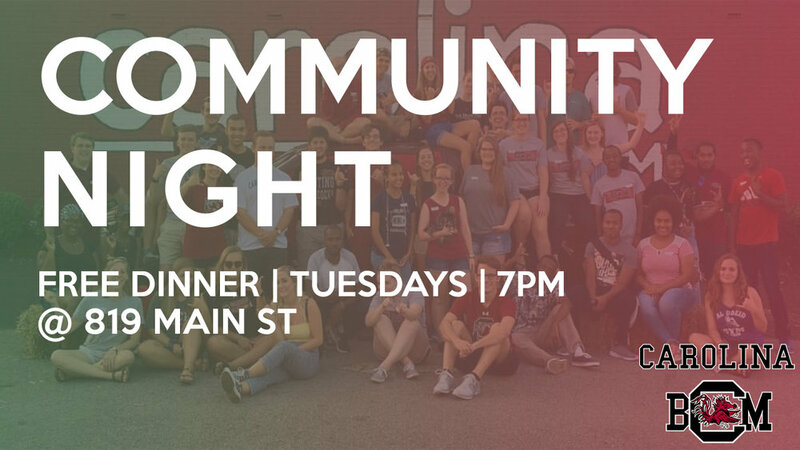 BCM Students will share on their experience serving in Detroit for the Spring Break Missions Trip! We will leave BCM around 8:30 and will return to BCM at 1:30 or 2 PM. We will depart from BCM, 819 Main St and go see amazing movies at the Big Mo all from your car! We are excited to enjoy the movies drive-in-movie-style with you! Come hang out with us as we leave from 819 Main St in the afternoon, and travel to Congaree! We will night hike on Friday. We will get to hang out and explore together and go on another hike on Saturday. We will return around 5 PM on Saturday. We look forward to your company on the Camping Trip! $10 per person. Men’s Soccer Night 7-10pm @ Strom Fields. Come hang out and play soccer with us at Strom. Come join us as we serve Detroit, the great motor city of America! Detroit has incredible ministry opportunities to share the love of Christ! We will be partnering with Refuge Church, where our former staff member, Mela Siona, is now serving in. We are excited to go and connect to the local community colleges and support this new local church plant! Sign up before February 28, to get a t-shirt! Price goes up to $135 on March 1. DEADLINE March 5th. Right before your Christmas break, come and serve the coastal areas of the Carolinas! The BCM's from across the state are partnering together to go and rebuild in the areas that were hit by the hurricane this fall. We will be doing re-build projects. No experience is required. We will be staying in North Myrtle Beach and serving there. 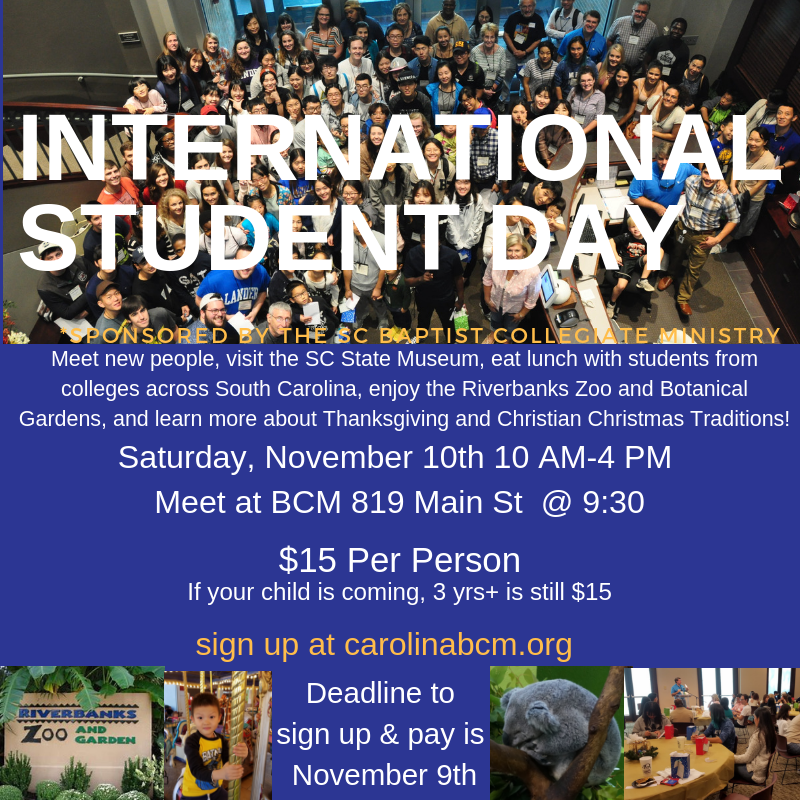 If the BCM's as a whole have more than 75 students serving, we will split up and have opportunities to serve in North Carolina in a coastal town. Sign up and pay by December 6th, for this amazing opportunity to serve the Lord with your time and labor to bring hope after this devastation. **Meals are included during this time. Please bring money to pay for your meal on the drive there and for the return trip. This is a family friendly event and drop in as we celebrate and come together to celebrate Jesus' birth for Christmas and host internationals from all over the world, by eating delicious dishes from across the world! Drop ins are welcome! Come decorate the BCM to be a festive gathering place for the holidays! Wear your favorite Christmas sweater and sing Christmas carols as we get excited to celebrate Jesus' birth! Come serve with the guys as we go out and serve alongside our college community with USC's Service Saturday. dress up in their Halloween Costumes, ready to win the prize of "Best Dressed" for the night! We eat desserts, decorate the building for our Community Night, and carve pumpkins!